My dear friends, you have come together in this church so that the Lord may seal and strengthen your love in the presence of the Church’s minister and this community. Christ abundantly blesses this love. He has already consecrated you in baptism and now he enriches and strengthens you by a special sacrament so that you may assume the duties of marriage in mutual and lasting fidelity. 1) Please contact the Pastor six months prior to your wedding date. 4) Four Letters of Freedom* (two for the bride, two for the groom) signed by loved ones stating that this is indeed the first marriage for either the bride or the groom. These forms would have been given out at the initial meeting with Fr. Ed. 5) Sacramental records* An updated (within the last six months) Baptismal Certificate for both the bride and groom with notations on the back regarding First Communion or Confirmation. If notations are not present on the back, then we need to get certificates from the Church where each one received First Communion or Confirmation. If the bride or groom is Christian but not a Catholic, then a Baptismal Certificate from the Christian Church is needed. If the bride or groom is neither Catholic nor Christian, then Sacramental records are not needed. 6) Sunday Mass attendance. A couple preparing for Holy Matrimony is encouraged to worship on the day of the Lord’s resurrection. We grow in relationship with Jesus by spending time with Him. We are encouraged to listen to His word and consume His body and blood every Sunday. *NOTE: All documentation needs to be received within six months of the wedding date. Additionally, a FOCCUS Inventory needs to be completed, followed by one session with a Marriage Counselor. All couples are required to participate in an Engaged Encounter week-end or one-day seminar on marriage preparation. Details on both will be provided. 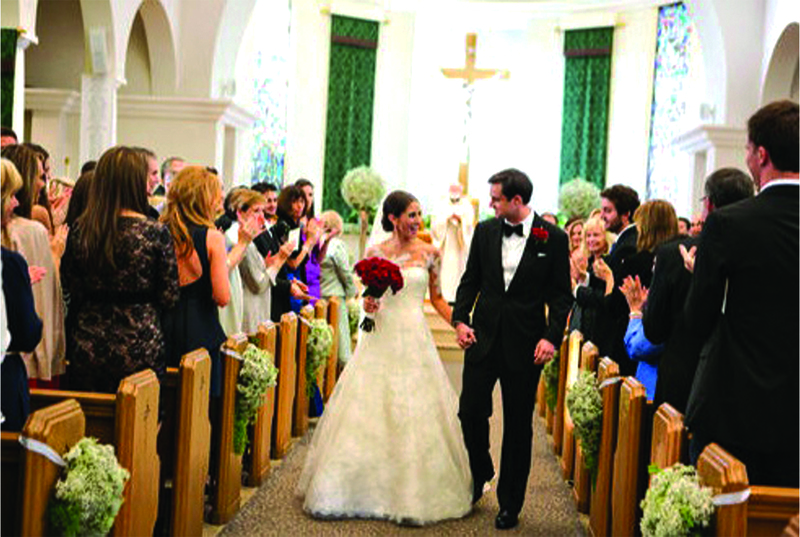 We have booklets at the Parish Center with much information regarding Catholic weddings. The wedding fee at Good Shepherd Church is $1,300. This amount does not include music fees, which are additional. The Music Director will be available to discuss these fees. There is a $300 non-refundable deposit to secure the date of your wedding ceremony. The remaining $1,000 balance is due two weeks prior to the wedding date. The fee for a wedding elsewhere, yet prepared at Good Shepherd, is $500 and should be paid one month prior to the wedding date. For more information or to schedule an appointment with Fr. Ed, please contact the Parish Office at (310) 285-5425.